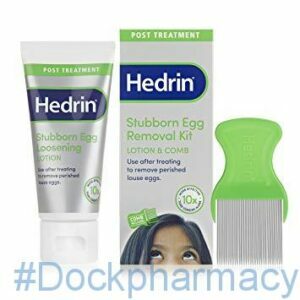 Hedrin stubborn egg loose lotion is used to help remove dead eggs after treatment. It works by chemically releasing the bond between the egg and the hair and is 10 times more effective at removing nits than combing alone. After use eggs will glide off hair easily. Hedrin stubborn egg loose lotion is used to help loosen dead eggs and is a post-treatment. It is 10 times more effective at removing nits than combing alone. After use eggs will glide off hair easily. Hedrin lotion efficacy is the result of its active ingredients, Dimeticone. Hedrin 4% Lotion is the new way to eradicate head lice. It’s skin friendly, odorless and easy to apply. Hedrin Lotion contains no organophosphates and reduces the risks associated with other head lice treatments. Clinically effective it works in eight hours. Contains enough liquid to treat one person. 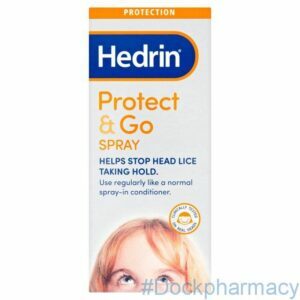 Hedrin Protect & Go is a spray-in conditioner that should be used regularly to protect hair from lice infestations. Hedrin Once Spray Gel is an easy to use head lice treatment which has been clinically proven to effectively remove head lice and their eggs. Lice will not develop resistance towards this product and can, therefore, be used as often as required. Suitable for adults and children aged 6 months and older. 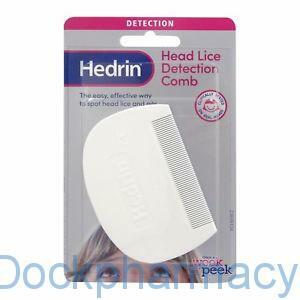 Hedrin head lice comb is used to remove head lice and eggs. 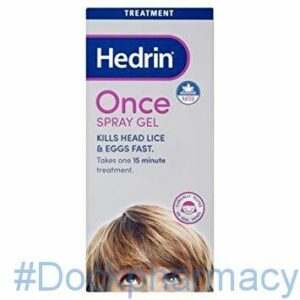 Hedrin Once Spray Gel is a skin-friendly head lice treatment which has been clinically proven to be very effective in removing head lice and their eggs. Suitable for adults and children aged 6 months and older. Lice will not develop resistance towards this product and can, therefore, be used as often as required. Hedrin Once Spray Gel kills head lice and their eggs in adults and children from 6 months old. Lice will not develop resistance towards this product and can, therefore, be used as often as required. 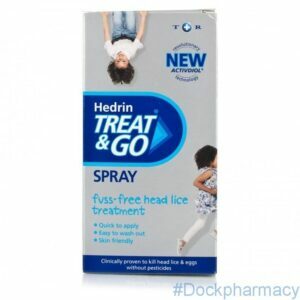 Hedrin treat & go is easy and quick to use with its revolutionary Activdiol technology and actively fights to eliminate head lice. With its water base, this treatment is incredibly easy to rinse off, without leaving any greasy residue. While dry, it remains on the child’s hair for hours. 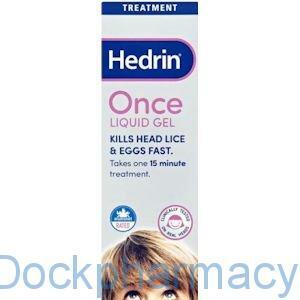 Hedrin Liquid Gel has been clinically proven to remove head lice and their eggs in adults and children from 6 months. It works by physically smothering the lice and also contains Penetrol which helps the product to penetrate louse eggs in order to kill them. The gel can safely be used as often as required without lice developing resistance. 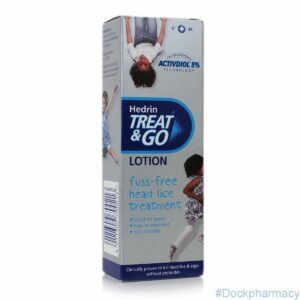 Hedrin treat and go lotion is a water-based treatment that has been clinically proven to effectively kill head lice and eggs. This skin friendly and odourless product may be used on babies from 6 months old. Contains no known asthma triggers. Requires two applications (eight hours or overnight), seven days apart. 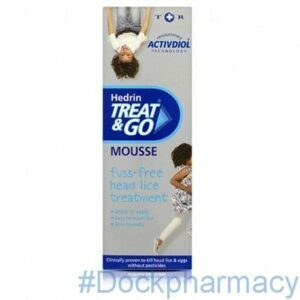 Hedrin Treat & Go mousse is a treatment used to get rid of head lice and their eggs.